The exterior of the Victoria Palace is among the most impressive of any theatre in London. Before the advent of air travel, the giant arch, dome and pillared façade of this gleaming white theatre would have been the first thing that many visitors from the continent would have seen as they stepped out of Victoria Station. 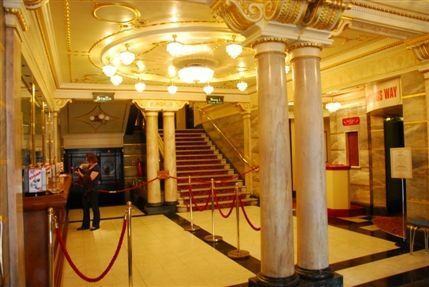 The most impressive creation of the golden age of Music Hall, has an interior of mirrors and red marble that can match any in London for opulent style. In spite of being on the furthest edge of the West End, the Victoria Palace’s mix of musicals and variety shows has consistently filled its giant tiered amphitheatre. 'Me and My Gal' (1937), 'The Crazy Gang' (1947-60),the bizarre phenomenon of the 'Black and White Minstrel Show' (1962), and 'Buddy' (1989) all had hugely successful runs here.